The mainland regards Taiwan as a ‘renegade province’ and has repeatedly threatened to invade the island in the event of a formal declaration of independence. After the DPP won the January 2016 presidential and general elections, Beijing has scaled down high-level contacts with the new, more pro-independence minded government and has taken a more assertive stance in bilateral relations. However, the Taiwanese government has so far abstained from any actions that could provoke a harsh response from Beijing. 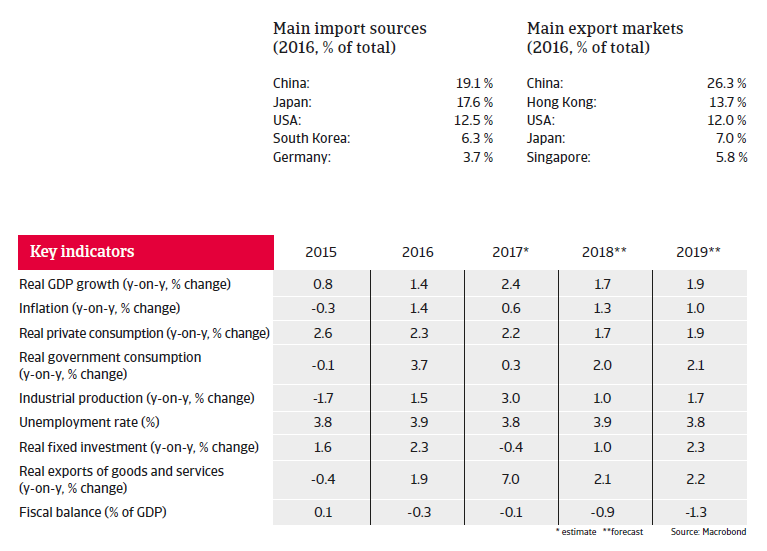 In 2017 the recovery in global trade and higher-than-expected import demand in China has boosted Taiwan´s economic growth, as exports increased 7% year-on-year. 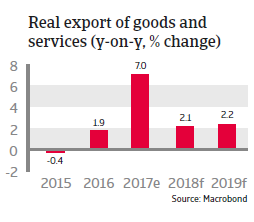 In 2018 it is expected that GDP growth will slow down somewhat due to lower external demand. 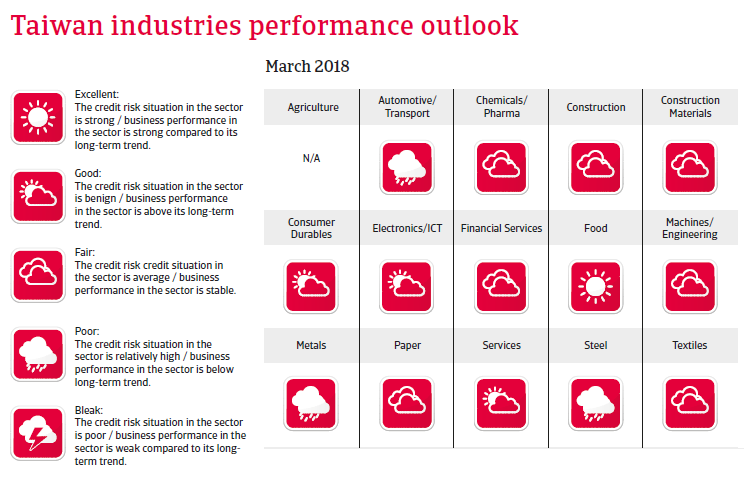 However, the on-going turnaround in investments in the high-tech (electronics) sector and relatively solid labour market, underpinning consumer confidence and spending, could provide some compensation for weaker external demand. Public finances are very sound, as government debt remains low at about 30% of GDP. 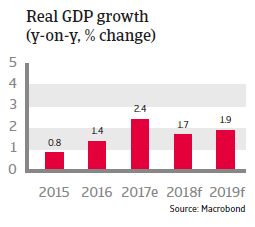 The budget deficit is also expected to stay low, at below 1% of GDP in 2018. Taiwan’s external financial situation is very solid, with low external debt. The current account surplus is very large (more than 13% of GDP) and the country has ample foreign reserves. However, as China’s industries increasingly climb up the technological value chain, Taiwanese electronic businesses are increasingly getting under competitive pressure. 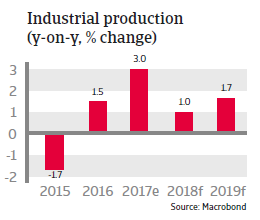 Taiwan will have to look for new high value-added alternatives in the mid- and long-term, with productivity increases and the diversification of the economy being long-term challenges. Additionally the ageing population is an issue, exacerbated by the fact that many talented young Taiwanese are moving abroad for work, including to China. Taiwan´s working age population started shrinking in 2016, and pension liabilities could become a major issue for the public budget in the future.